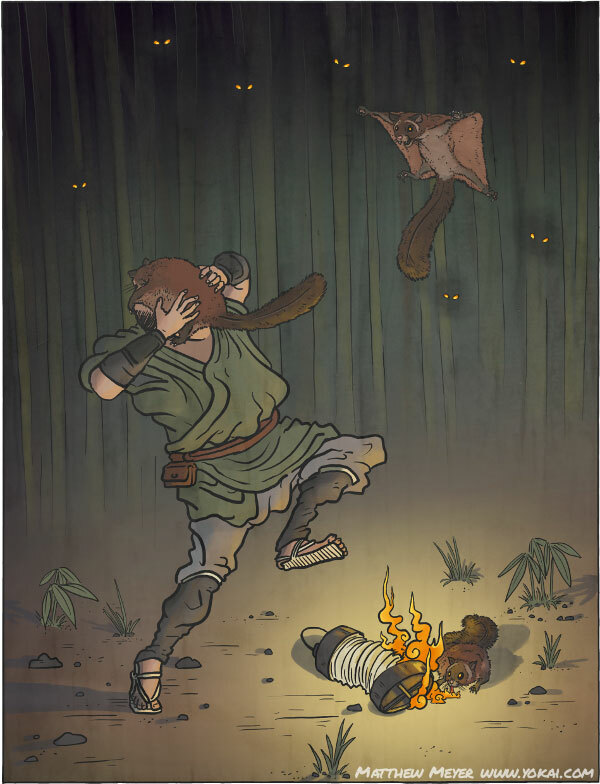 APPEARANCE: A bat which lives to a very old age develops magical powers and changes into a yokai known as a nobusuma. They look almost identical to musasabi, or Japanese giant flying squirrels, although they are much more dangerous. ORIGIN: While nobusuma are born from long-lived bats, the transformation does not stop there. Once a nobusuma reaches a very old age, it transforms again, either into a yamachichi or a momonjii. 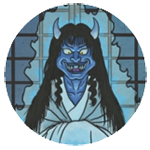 This yokai should not be confused with the nobusuma (野襖) from Kochi prefecture, whose name is pronounced the same but is actually a variety of a different yokai called nurikabe.